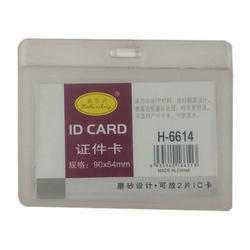 Our range of products include plastic id card, collage id card, school pvc identity card, pvc id card holder a-1 and id card case. 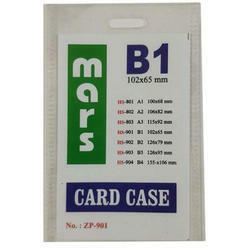 Backed by a rich industrial experience, we are engaged in offering a commendable array of Plastic ID Card. Having a definite quality management system, we are immersed in bringing forth a top class consignment of Collage ID Card. 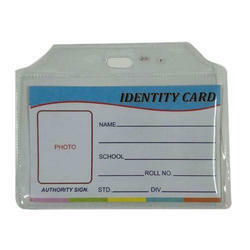 Known for our reasonable rates, we have come up with a world class assortment of School PVC Identity Card. Executive Id card holder for office and college use.We are among the per-eminent organizations, involved in offering a wide range of card holders. Widely demanded by the clients, these products are made using quality material, which is procured from the certified vendors of the market. 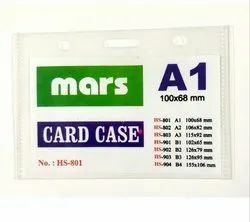 Fostered with enormous business understanding of this realm, we are involved in presenting a broad consignment of ID Card Case.